Just when you thought that the Supersport sector was falling by the wayside, thanks to most of the main manufacturers ploughing their sportsbike R&D budgets into 1000cc (and sub 500cc, if you can call them sportsbikes) models, Kawasaki have pulled an all-new ZX-6R out of their magic green hat. 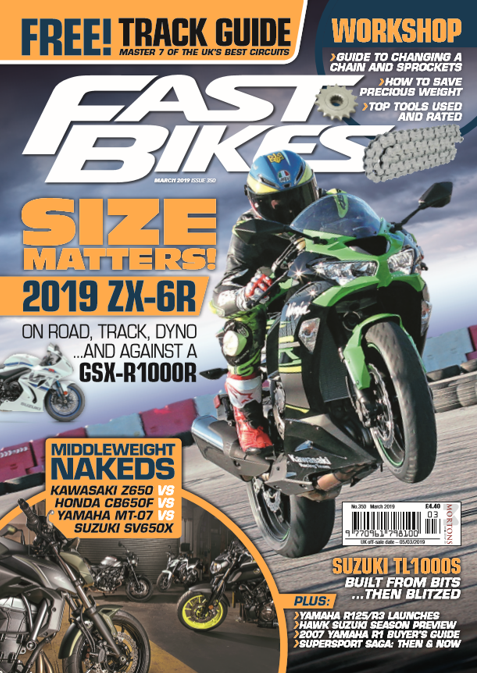 It’s not really an all-new model – it uses the same 636cc motor and chassis as the outgoing ZX-6R 636 – but with some clever tweaks here and there, it was actually pretty damn surprising on our mega test. We even stuck it up against a litre sportsbike to answer the age-old question… does size matter? To find out how the ZX-6R got on, check out next month’s magazine first by subscribing here!